The traditional idea that ‘engagement is driven by a manager’ is now out of date: peers have greater impact on commitment than managers. • High expenses for trainings and individual coaching: the need to enable employees to learn and to grow in the workplace. To increase opportunities for employees to better know each other, to like each other, to trust who they collaborate with in real-time work. 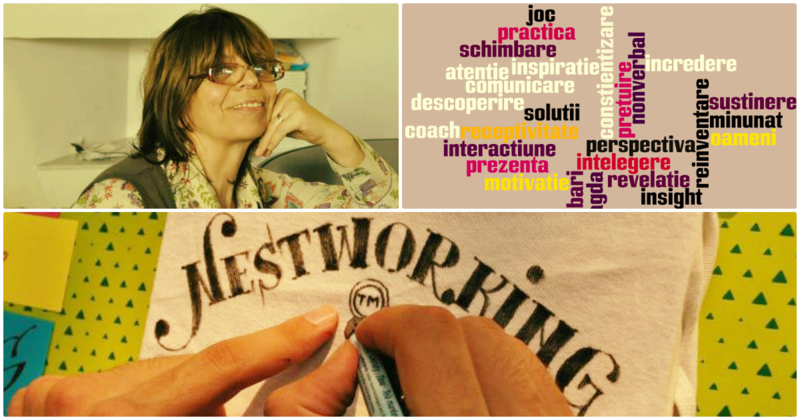 NESTworking™ raises the ownership level, through emulating the very environment of a state-of-the-art organization actualization, rooted in applying and developing critical thinking and self-reflective skills, through following action plans, coaching and group innovation support – feedback-to-change and feedback-to-stabilize. Employees become comfortable with their excellence zone. The communication concepts to reflect upon are the very issues which generate many of the problems people have in their personal and professional life, for which they ask for – or are referred – to coaching programs. All concepts will be put in practice on the spot, and in between the sessions: each participant will have to fill in a personal ‘coaching sheet’, with the goals she/he is choosing, and she/he will design and follow her/his own action plan, with check-points to assess progress and to analyze the appropriate change, if needed. Employees become each other’s coach.